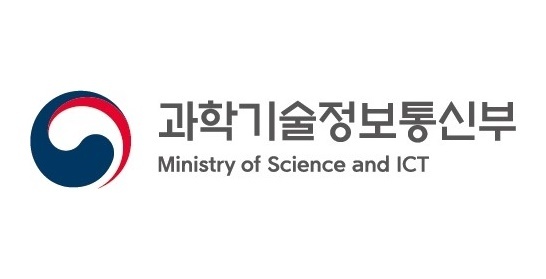 The Ministry of Science, ICT and ICT recently announced its plan to achieve 30 trillion won in the data market and nurture 10 artificial intelligence (AI) unicorns by 2023 at the first Innovation Growth Strategy Conference. In addition, he said he would train 10,000 people in the data and artificial intelligence fields. In order to promote the convergence of data and AI, we will focus on building infrastructure, improving systems, and creating demand for public sectors for startups and small and medium-sized enterprises. We will strengthen cooperation between large and medium-sized businesses by using data and AI, and develop new products and services using them. In this announcement, the government presented nine tasks such as activating the data value chain cycle, creating a world-class AI innovation ecosystem and promoting data AI convergence. Specifically, the government plans to build 10 big data platforms and organize and operate a big data network council to build quality data in the public and private sectors. "The latest master plan by the Ministry of Science and Technology and Information and Communication also includes policies for industrial cooperation and support in AI-related technologies," a Cube Intelligence official said. "By taking advantage of the government's announcement that AI-centered technology can lead the country, we will work harder to develop the technology." 과학기술정보통신부가 최근 제1차 혁신성장전략회의에서 2023년까지 데이터 시장 규모 30조원을 달성하고 인공지능(AI) 유니콘 기업 10개를 육성하겠다는 계획을 발표했습니다. 뿐만 아니라 데이터 및 인공지능 분야 전문 인력도 1만명을 양성하겠다고 밝혔는데요. 구체적인 내용을 살펴보면 데이터와 AI의 융합 발전을 촉진하기 위해 인프라 구축과 제도 개선, 스타트업과 중소기업을 위한 공공분야 수요 창출 등 생태계 조성에 집중한다는 계획으로, 데이터와 AI를 매개로 대·중소기업 간 협력을 강화하고 이를 활용한 신규 상품 및 서비스 개발도 추진할 예정입니다. 이번 발표 때 정부는 ▲데이터 가치사슬 전주기 활성화 ▲세계적 수준의 AI 혁신 생태계 조성 ▲데이터 AI융합 촉진 등 9개 과제를 제시했는데요. 구체적으로 공공·민간 분야에서 양질의 데이터를 구축하기 위해 빅데이터 플랫폼 10개를 구축하고 빅데이터 네트워크 협의회를 구성해 운영할 방침입니다. 이번 소식에 큐브 인텔리전스 관계자는 “최근 과학기술정보통신부의 이번 마스터플랜에는 AI 관련 기술의 산학협력 운영과 지원에 대한 방침도 포함되어 있어 반갑다”며 “AI 중심의 기술력이 국가를 이끌어 갈 수 있도록 커다란 지원을 밝힌 이번 정부의 발표를 기회로 삼아 큐브AI의 기술 개발에 더욱 힘쓰겠다”고 각오를 전했습니다.